Ever wonder why self-published books are rarely stocked in brick-and-mortar bookstores? It doesn’t necessarily have anything to do with the quality of the writing. Instead, it has to do with risk. When a bookseller fails to sell a book supplied by a traditional publisher, the retailer has the option of returning the book for (essentially) a refund. But with self-published books and POD books, booksellers must assume the risk of buying stock that they will be stuck with if they can’t sell it. So how can you get a bookseller to take a risk on your self-published book? 1. Focus on an independent bookstore, and support it. Where are you buying your books these days? If you’re hoping that your local bookstore will sell your book, it’s good personal policy to support your mom-and-pop retailer. If you already have a relationship with your local booksellers, it will be easier to approach them about stocking your self-published book. 2. Identify booksellers in your key market areas. Is your book about a specific region, or a local topic or event? Examples would be a book about a town’s historical battle, an insider’s guide to a certain city’s nightlife, or even a novel set in a touristy area. 3. Ask big-box bookstores about “local author” days. Although your local bookstore or chain book retailer might not want to stock your book all the time, ask if they host any programs for local authors. Many do! If they don’t have one coming up, you can offer to organize one. 4. Think outside the bookstore. Local shops that sell Hallmark-style gift items may be open to stocking your book. In fact, any gift shop might be open to selling your stock! 5. Sell enough copies of your book that a traditional publisher is willing to issue it (and have it shipped to bookstores everywhere by its distributor). If your self-publishing sales are steady and lively enough that a literary agent is willing to take it on, you may be able to transition into traditional publishing (assuming you want to!). But be warned: You’ll have to give up some control over your book. 6. Query book wholesalers. 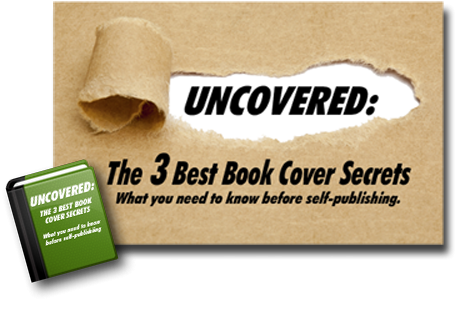 Distributors like Ingram and Baker & Taylor may be willing to stock and distribute your self-published book. However, there are rules and restrictions in place that govern the types of authors they’ll take on (for example, at the time of this writing, you need to have at least ten titles completed and available for Ingram to consider distributing your books). Sweeten the pot. When you present yourself (and your book) to a retailer, consider offering it with a gift basket of some sort to thank the owner for his or her support. Best if that basket contains items that tie into your book! Offer to sign stock. Retailers love displaying books signed by the author; they give off a special vibe! Be polite. Even if a bookseller turns you down, it pays to be a nice writer. Consider some other way that you can demonstrate an offer of support. Keep shopping at the store, showing your face, and with any luck, your efforts may pay off in the future. Whether you’re self-published or traditionally published, the bottom line for getting your book in stores is this: If it sells, booksellers will want to stock it. Focus on your marketing efforts in order to increase your online following and your total book sales. When fans are interested, booksellers will be too! QUESTION: Where do you buy most of your books? The actual number would vary from agent to agent, depending on what piques their interest. One literary agent might be impressed by 5,000 sales, while another might not be interested until sales were over 10,000 copies.